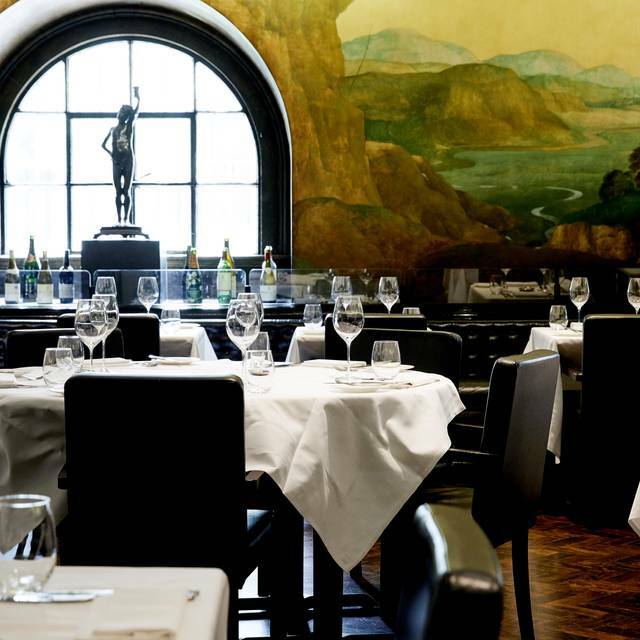 You must make bookings at least 5 minutes in advance of the time at Rex Whistler Restaurant at Tate Britain. 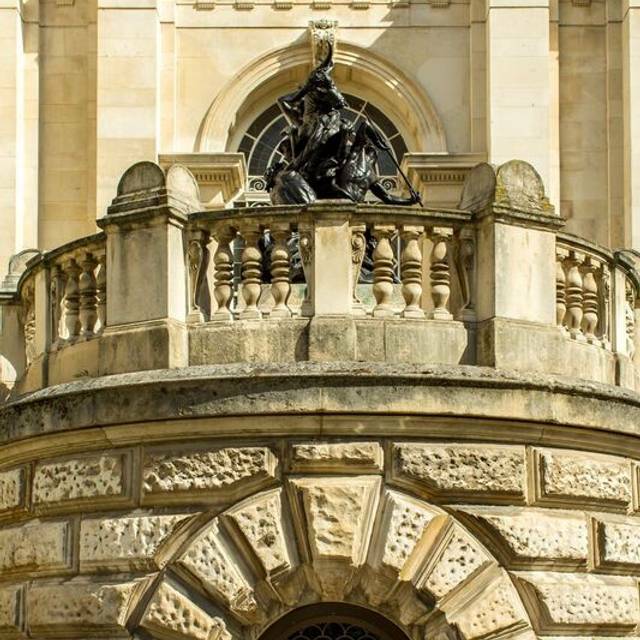 Street parking is available adjacent to Tate Britain and an NCP Car Park is within 1 mile of the restaurant. Disabled parking is available on request. 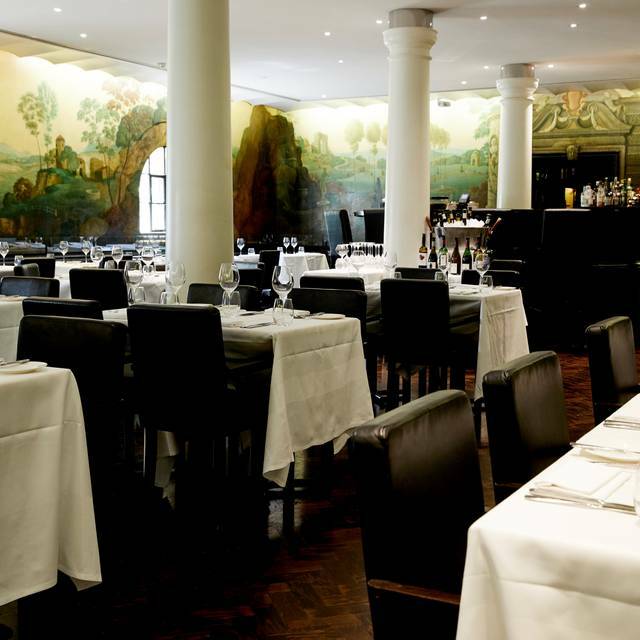 The Rex Whistler hosts regular special events showcasing seasonal produce, Art and fine wines. Tate Entertaining - our own Events Catering Company are able to offer events catering in and around London. All types of events catered for including drinks and canapés, lunches & dinners. 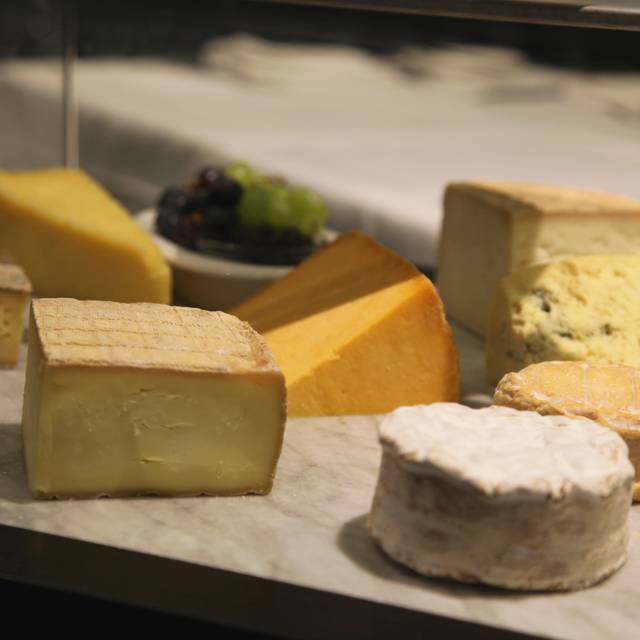 The seasonal menu celebrates the best of British seasonal produce. 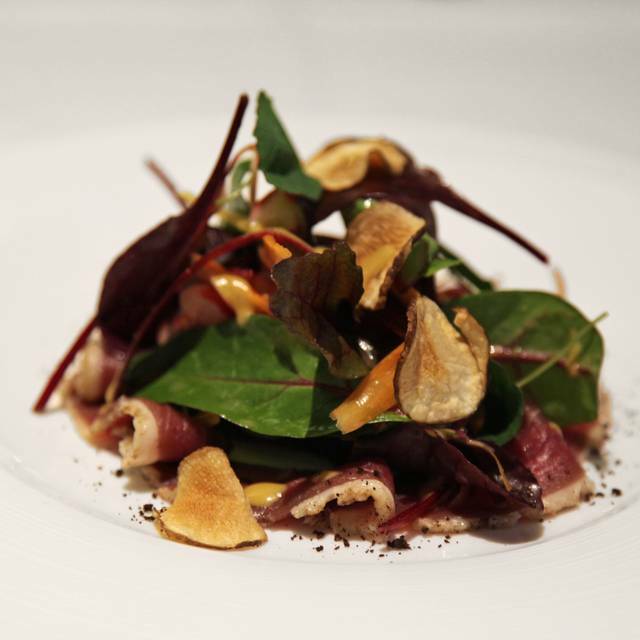 Our culinary team also take inspiration from the exhibitions and works on display at Tate Britain through the year. Our multi award winning Tate wine list, overseen by CEO Hamish Anderson & Head Sommelier Gustavo Medina offers guests an array of wonderful choices with a large selection of excellent half bottles, and older vintages. 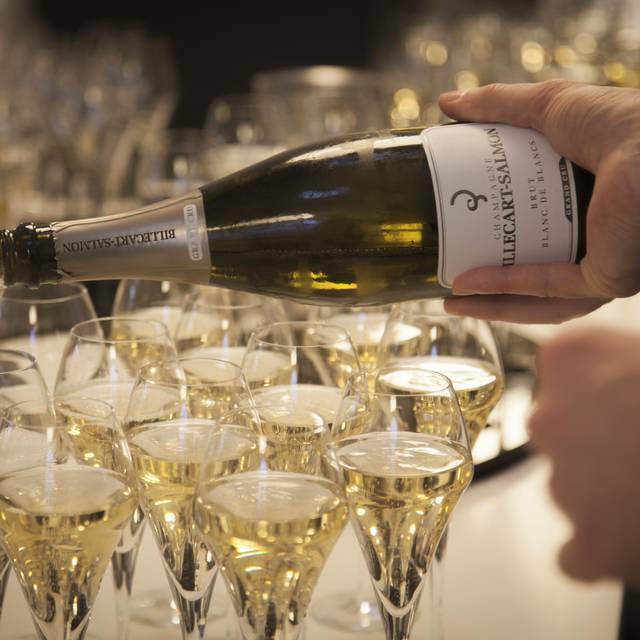 Our Team are happy to match wines with guests lunch menu choices to create a unique experience. 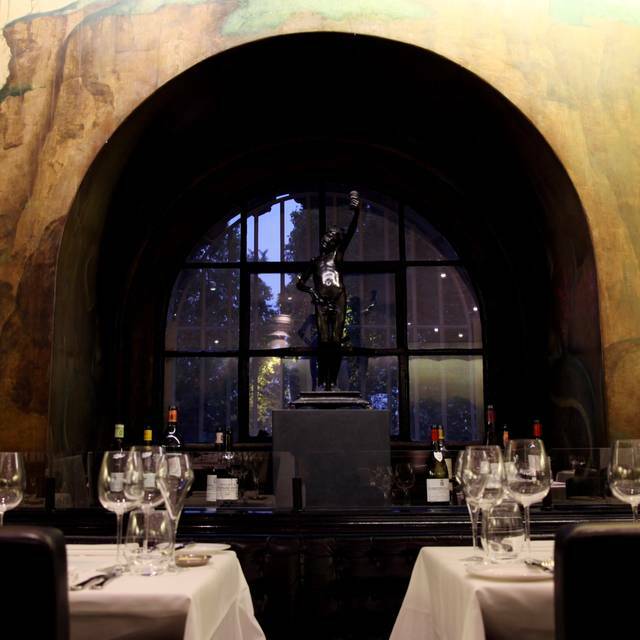 The ethos of the Tate list remains very much as it did when the restaurant opened in 1927 - the list is about excellent value fine wines from all over the world. 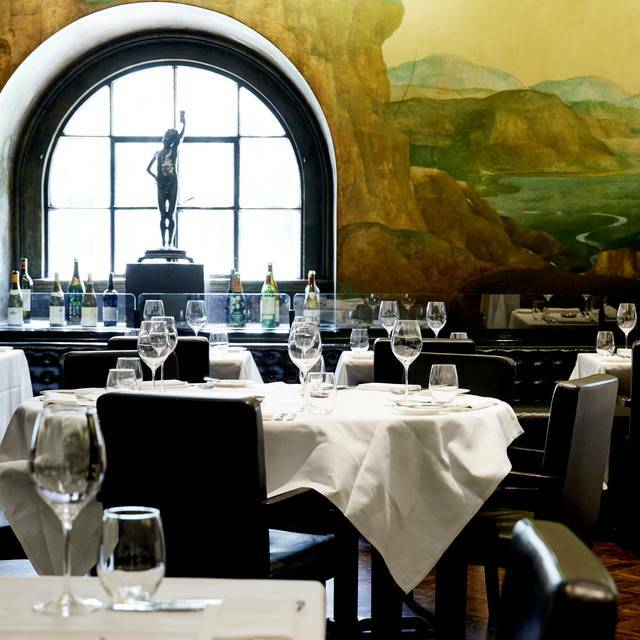 Dine from seasonally inspired British menus in the historic restaurant at Tate Britain surrounded by the hand painted mural created by Rex Whistler in 1927. Good to be back to in that lovely room! A lunchtime get-together with an old friend. Enjoyed the occasion but on this occasion thought that the choice of main dishes possibly slightly less than inspired. Perhaps because the unexpectedly warm weather meant that I was feeling less than inspired myself. I would though have preferred something a little lighter. But the service was great from the the very pleasant and helpful young woman who served us, and from the rest of the staff, who should be congratulated for running such a smooth, professional and friendly operation. Excellent lunch at the Rex Whistler restaurant. Comfortable ambiance, friendly and efficient service and delicious food. We didn't feel rushed at all. Dear BESTAFOOD, Thank you for the lovely review, of course we will share this reviews with the rest of our team. Our priority is always to give our guests the best experience to every single one, and we looking forward to seeing you again in the near future. Best wishes, Altina. The food was very good, the wine was very good and the service was excellent. We really enjoyed it. Dear TriciaB, Thank you for taking the time for the lovely feedback. We are very delighted you enjoyed the Rex Whistler restaurant experience. We would be grateful if you could share this thoughts on TripAdvisor also. Kind Regards, Altina. Lovely meal in a relaxed location. Wide choice of starters, main course and desert. Attentive service. Dear PhilC, Thank you for your excellent feedback. We are very much happy you enjoyed your meal We look forward to hosting you again soon. A really enjoyable meal and experience. 2 small comments; the lamb was too rare for me personally, and our choice of desert was 'sold out'. (at about 2.30, so understandable). My friends thought their meals over-priced and pretentious. Dear Algarkid, Thank you for the lovely review. We are really happy you enjoyed the Rex Whistler restaurant experience, and we looking forward to hosting you again. We would much appreciate it if you extend you comments to TripAdvisor. Well presented meal. Disappointed not to see any English wines apart from fizz on the wine menu. Somewhat noisy. Perfect and great wine list. Very good food. The wine pairing was excellent. Unnecessary to receive a review request from Open Table, 10 minutes before the table was booked. Menu exciting and food did not dissapoint. We both enjoyed the sommelier's choice of wines to go with each course. Looking for another opportunity to come back. Really enjoyable Sunday lunch after the exhibition. Crab cakes were crispy and just spicy enough. The beef on the bone, carved in the trolley was excellent as usual. Good selection of cheeses and wines. Service and wine service excellent. Much improved food the last couple of times we've visited. The beef was really very good. I was a bit concerned that the staff don't directly get the service charge when we checked with them. My only complain is that there are no lavatories 'dedicated' to the restaurant. we had a wonderful lunch but to spend 160 pounds and then go and queue in the somewhat less than elegant public lavatory down the corridor did rather take the edge off. Other than that wonderful and I will be back! The service left a lot to be desired. Maybe the person was just having a bad day? Always like to give benefit of the doubt. Long wait for food and wine, wine poured unevenly in two separate glasses. However, the Manager (Martin) was outstanding. He listened to our thoughts and was extremely apologetic. His entire character and professional nature would make me return. A well trained, emotionally intelligent man. Disappointing overall both I. Terms of choice, quality and value. Charming and efficient staff, a lovely room and delicious food make for the beginnings of a delightful afternoon. The food was excellent although I would have liked the fat on my lamb to be cooked and browned more (my personal preference). The wine list was extensive. This is a very attractive setting in which to have lunch whilst visiting Tate Britain. It is clearly popular so I’d say booking is essential. The staff were efficient initially but got caught up in taking on increasing numbers of covers as lunchtime progressed. It is expensive but the food is seasonal and flavoursome. The wine list is extensive- the English sparkling wine was delicious. Great as a treat. Expensive but excellent food wine and service. Very good feel. The overall experience was one that we shall repeat when the opportunity arises. 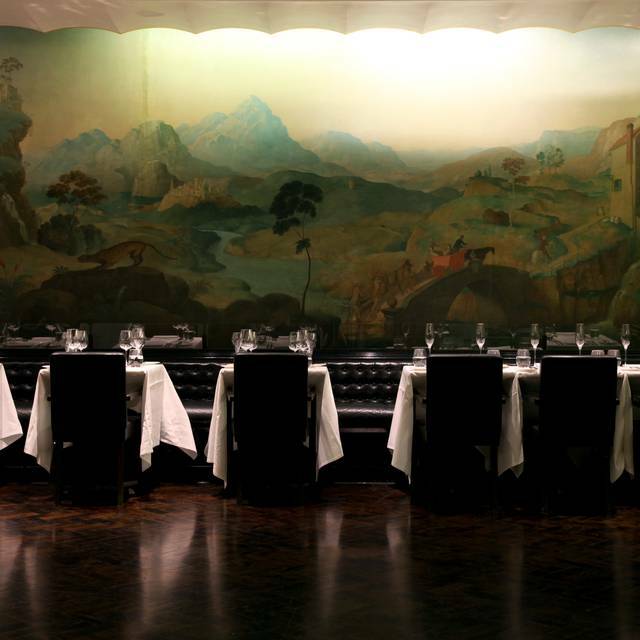 While the food and service was very good, it is the mural that makes the Rex Whistler truly unique. Enjoyed a relaxed visit before going to exhibition. Order promptly taken and food soon arrived, had to attract attention of staff during meal who were extremely busy. All questions efficiently answered. Food good, portions not large. Wine list excellent. Very enjoyable Sunday lunch for six on Mothers’ Day. The beef from the trolley was devoured greedily by the meat eaters, I had the lemon sole- fresh and good- and the vegetarians loved the cauliflower steak- everybody happy. Vegetarian main option was flavourless and extremely overpriced. Extremly good service,food and venue.Marvellous combination of flavours in all dishes. The food and ambience were excellent as ever, surprisingly the service was a bit confused but the wines and the suggestions of Gustavo made the visit. Delicious food, wonderful choice of food. Impressive dining room. It’s a destination I would return to. Expensive for what is offered. Piquant crab perfectly acceptable but Swaledale lamb was tough and strangely pink all the way through. I love this place as have always been treated to a meal on my birthday by my late partner combined with the opening of a great exhibition. Sadly the vegetarian option was not appreciated and there was no other choice . The main course was a bit pricey for what it was but the deserts ,wine and service made up for it ,they were superb . Great for a treat . This is a beautiful venue with a very well considered menu, together with wine pairings. The service is impeccable and I can't recommend it highly enough. Request a table against the wall if you want a banquette. A first visit to this oft- recommended restaurant. The welcome was warm, and the service was unobtrusive and attentive throughout lunch. We both had the salad to start - fresh, perfectly balanced dressing; a great start. My lamb was pink and full of flavour. My companion enjoyed his fish. Desert paid homage to Vincen Van Gogh and was lovely. A my only criticism/suggestion is a slightly less pricey set menu. Monday lunch at 2.00 pm a couple of days before the busy season that would start with the opening of the Van Gogh and Britain exhibition. The restaurant was about two-fifths full, so relatively quiet without feeling empty. We had a corner table that was cosy and near to the service entrance, which was helpful when wanting to attract attention. The one rose on the wine list available by the glass or carafe was a nicely chilled and tasty accompaniment to our meal, which began with terrine of rabbit that my wife and I shared. So far so good. When our saddle of lamb (£28) and pork belly with langoustine (£24) arrived, our hopes were high. But actually neither of them impressed even if they weren't completely disappointing. The pork was on the dry side and the lamb varied from nicely tender to uncomfortably chewy - beyond the capability of all but the highest specification false teeth. We had coffee, which was good, and a Tate affogato to share. Normally a single dessert is enough for two, but this was not the case here, where the serving was definitely on the mean side. Our bill with service came to a little over £110. While it is not difficult to spend £50 upwards on lunch in London, it is possible to eat very much better than you can at at the Rex Whistler. We left rather disappointed.